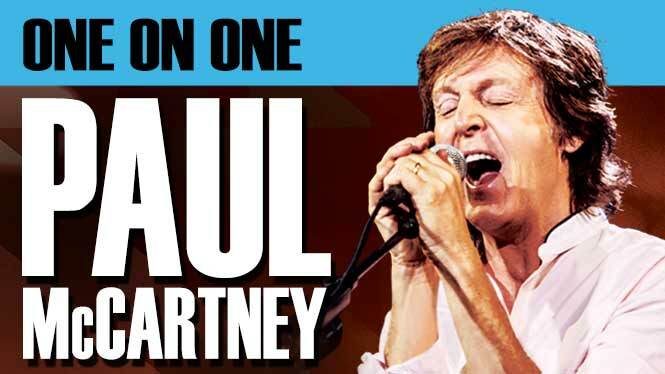 Paul McCartney has confirmed the newest dates of his brand new One On One tour. On May 4 & 5, Paul will return to Minneapolis to play Target Center—his first appearance in the Twin Cities since the August 2, 2014 performance at Target Field that drew a capacity crowd and unanimous critical raves. 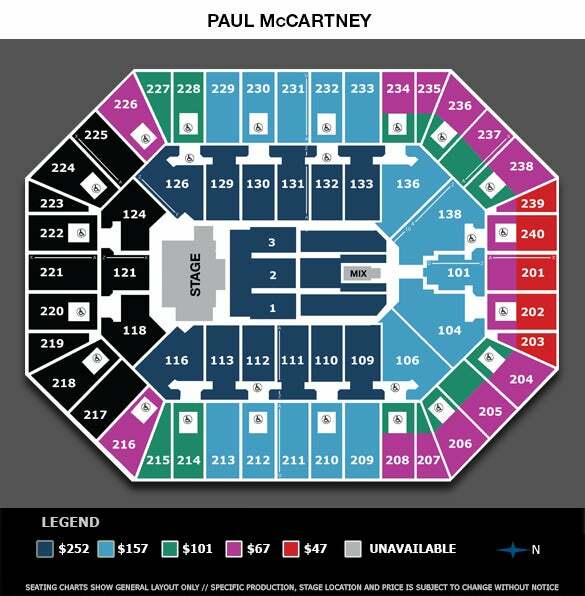 As with the launch of every new Paul McCartney tour, One On One promises to unveil a dazzling re-designed set, dozens of classics from the most beloved catalog in popular music, spanning Paul's entire career--as a solo artist, member of Wings and of course as a Beatle—and no shortage of surprises. The Paul McCartney live experience is everything any music lover could ever want from a rock show—and so much more: Nearly three hours worth of the greatest moments from the last 50 years of music, dozens of songs that have formed the soundtracks of our lives. Paul and his band have played an unparalleled range of venues and locations: outside the Coliseum in Rome, Moscow's Red Square, Buckingham Palace, The White House, a free show in Mexico for over 400,000 people, the last ever show at San Francisco’s Candlestick Park where The Beatles played their final concert 1966, and even one performance broadcast live into Space! Featuring Paul's band of the last 10+ years – Paul "Wix" Wickens (keyboards), Brian Ray (bass/guitar), Rusty Anderson (guitar) and Abe Laboriel Jr (drums) – the show is never anything short of life-changing. Tickets for the newly announced dates will be on sale March 21 at 10am local time. American Express® Card Members can purchase tickets in Minneapolis before the general public beginning Thursday, March 17 at 10am local time through Sunday, March 20 at 10pm local time. Tickets on sale Monday, March 21 at 10am online at AXS.com and charge by phone at 1-888-9-AXS-TIX. Tickets will NOT be available for purchase at the Target Center box office. Online and phone orders only.